The SR-9 Project Team is committed to reducing project impacts throughout construction and want to help you ensure your business runs smoothly during construction. 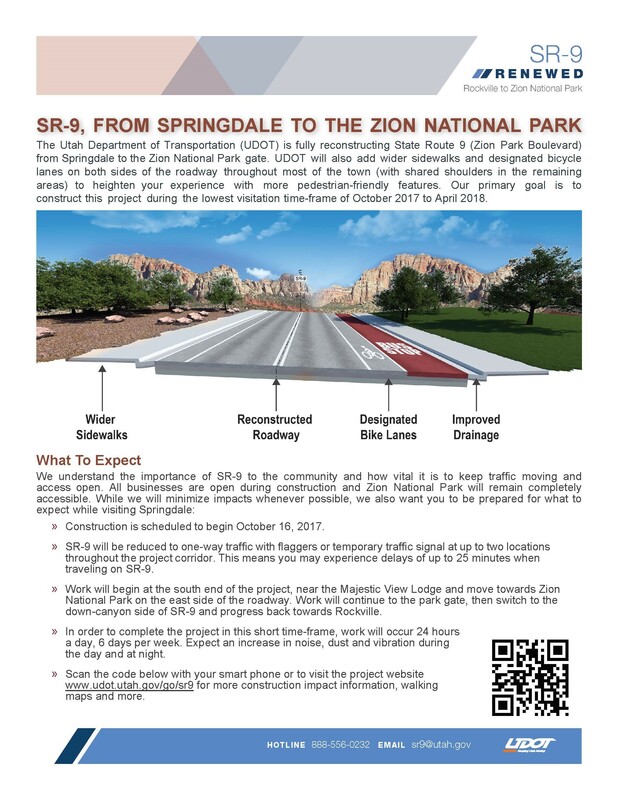 We support a positive message about how the project will better serve the community when complete and will continue to provide regular project updates via email, the Springdale Town Newsletter and on the homepage here. On this page, you can find links to an informational flier outlining construction activities, timelines, and impacts for each month of construction that you can distribute to or display for customers who may have questions/concerns regarding the project. Our hope is that this will reduce the need for you or your staff to explain the project to customers. Feel free to print, share or re-post these templates as you see fit. Need other information materials? Give us a call at 888-556-0232 or send us a message.